Baby Bigfoot Found in one of TimberGiant's Videos?! 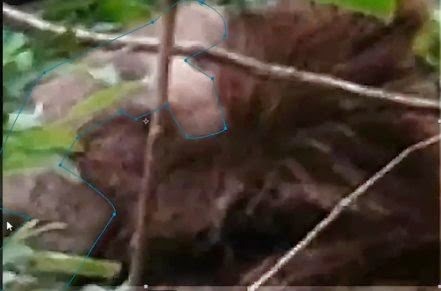 Timbergiantbigfoot has put out some controversial videos in the past, causing many people in the Bigfoot community to label him a hoaxer. His most famous video is the one of "Big Red", where he films what he thinks is a Sasquatch sitting in the brush cracking nuts. You can watch the original video here: Sasquatch Observed in the Forest. What do you think it is? Bigfoot? Bear? Hoax?? "What's more elusive than a bigfoot? A bigfoot suit. What's even more elusive than that? A BABY bigfoot suit. Take a look or two, new discoveries I found on Timbergiantbigfoot's Giant Revealed."